Just before Pesach in 2011, the New York Times reported some important news about gender and Passover: The fusty Maxwell House Haggadah, offered free in grocery stores with a purchase of Maxwell House coffee (this year there was one in my matzo box), adopted some gender-neutral language. Today, there are so many varied haggadot with more profound changes relating to gender than simply adopting gender-neutral language. Haggadot exist for a spectrum of observances, age groups and personal preferences, many with updated themes of freedom, plagues, renewal and more. For those searching for readings and themes — and perhaps not ready to invest in new haggadot — there are many downloadable versions. HBI has compiled a few tools to help you design your own seder with an eye to HBI’s mission of developing fresh ideas about Jews and gender. For example, JOFA, the Jewish Orthodox Feminist Alliance, compiled numerous Pesach Divrei Torah, described as “by women, for all,” in a 32-page free download titled Shema Bekolah, Hear Her Voice. Another resource, is JewishBoston.com and The Wandering is Over Haggadah: A Seder For Everyone, their free and downloadable, contemporary and customizable haggadah. Here, you will find readings and options on anti-Semitism, mental health, immigration, feminism, labor rights, social justice, climate change, racial justice, inclusion, Israel, LGBTQ liberation and more. The contributors include The Jewish Climate Action Network (JCAN), JCRC, ADL, Ruderman Foundation, Jewish Family & Children’s Services, Emilia Diamant, JewishBoston.com, New England Jewish Labor Committee and others. Jewish Family & Children’s Services released two downloadable haggadot related to healing and wholeness: the Chaverim Shel Shalom Haggadah and the Betty Ann Greenbaum Miller Center for Jewish Healing Friendly Visitor Passover Seder. 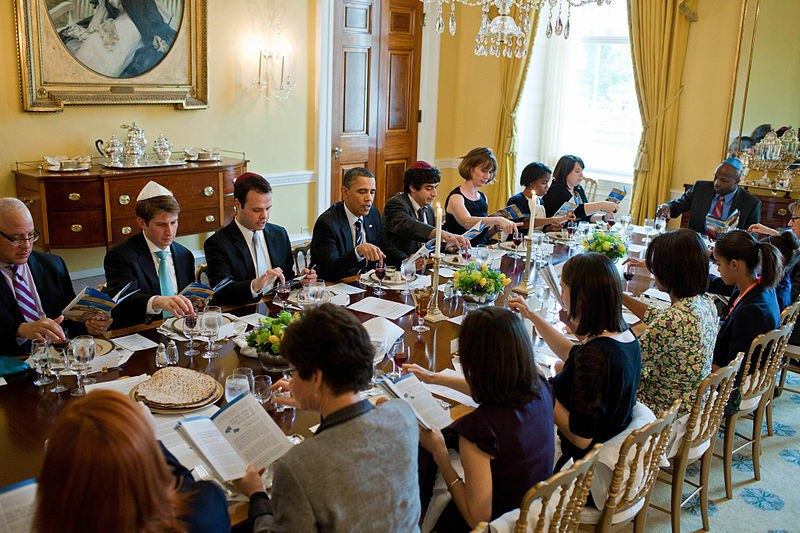 Haggadot.com has a tool called Let’s Make Your Passover Haggadah Together, with a platform that allows you to create a custom seder, using content aggregated from more than 150 individuals, artists and 13 organizations. These can be tailored and either downloaded or printed for your seder. I’m probably not banning Maxwell House completely. I have a soft spot for a wine stain that may have been created by people who have since passed away. It’s also useful to have multiple copies of at least one haggadah with every single verse of Dayenu! But as the four children remind us, it’s better to have a multitude of voices around the table, asking questions and heightening our awareness of what the holiday means. Amy Powell is the assistant director of HBI.